Our life long love of the outdoors has taken us in so many interesting and wonderful directions. Our interests have included hunting, fishing, camping and gardening. Our retriever canine companions have accompanied us on many of these adventures over the years. Fascination with their eagerness to please and high level learning abilities led us to the world of competitive working retrievers. Through much studying and hard work we have attained much success in the field trial world. To date, we have made eight field champions in both the U.S. and Canada and have bred four field champions. We have attended many nationals over the years and have been finalist numerous times in both the U.S. and Canada. Most recently, we both were finalist at the 2012 U.S. National Amateur Championship. Only one other husband and wife team has ever accomplished this in the history of the sport. The relationships and friendships formed over the last four decades presented us a unique opportunity to work with some of the most knowledgeable and successful trainers in the country. Jerry’s extensive television background led him to approach some of these trainers to share their dog training expertise by producing visual and written material in the form of DVDs and books. YBS Media (Younglove Broadcast Services) has been a leader in this industry for over twenty years. 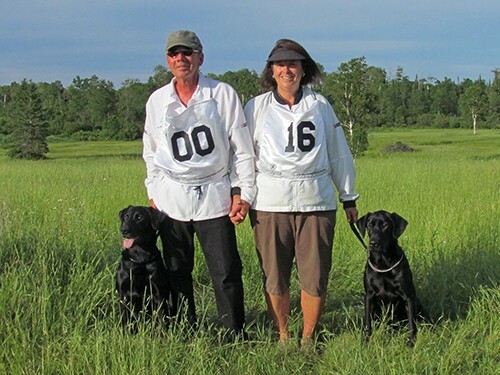 Offering step by step instruction to the novice and experienced trainer for competitive field trials, hunt tests, obedience and hunting dog training. Our authors include industry greats Mike Lardy, Rex Carr, Dave Rorem, Jackie Mertens, Dennis Voigt and Connie Cleveland. Thank you for visiting our website and for your interest in our products. Please feel free to contact us with any product questions.